Joe, I always enjoye a research challenge. With the assistance of VanderbiltCupRaces.com contributor Jean-Yves Lassaux of France, I believe we have your answers as seen in the below "Then & Now" treatment. Thanks Jean-Yves for your help! 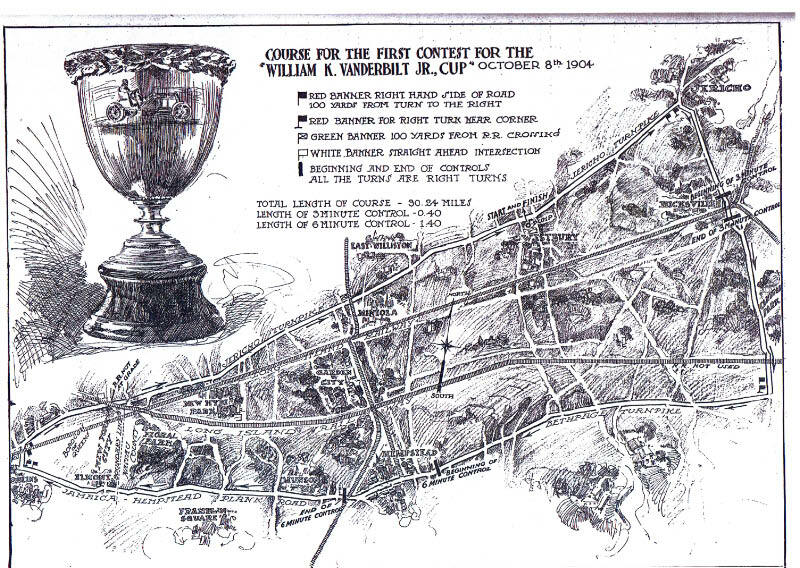 The entire 1904 course was 30.24 miles The race consisted of 10 laps with control stops in Hiscksville and Hempstead. Submitted by Jean-Yves Lassaux. 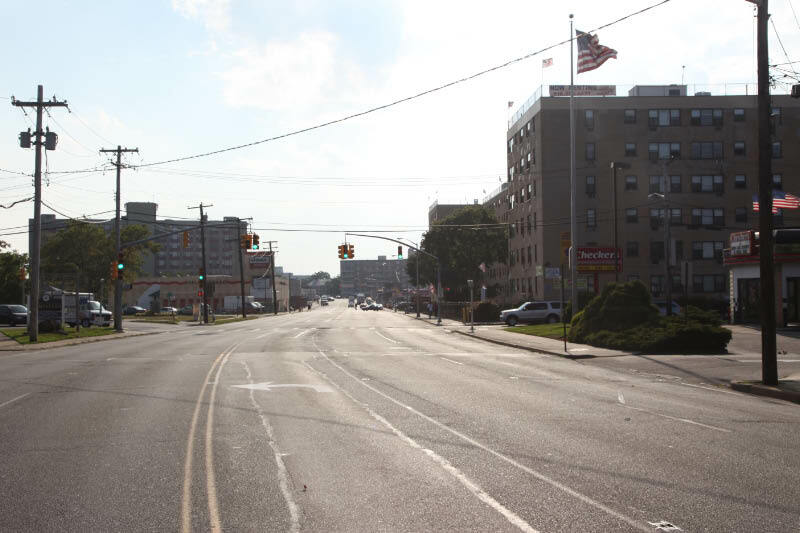 The length of the Hempstead Control was 1.40 miles. 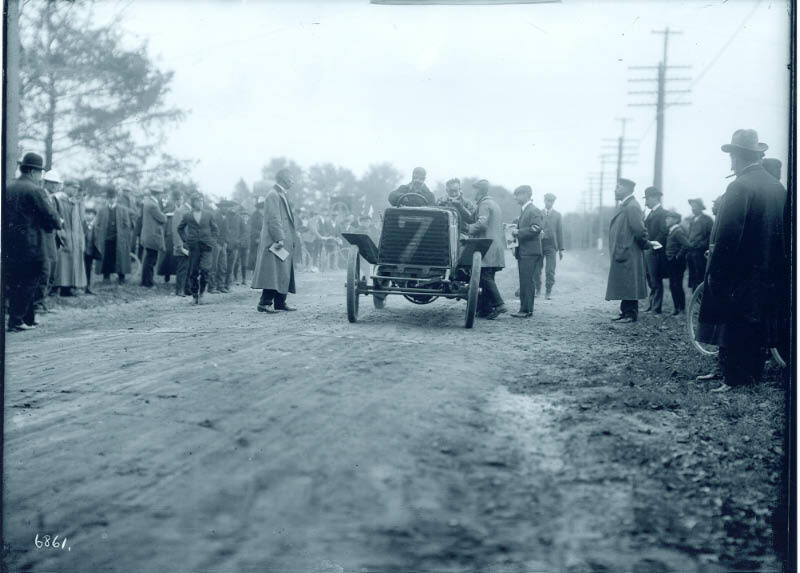 Racers had six minutes to drive the 1.4 minutes (only 14 miles per hour). This time was deducted from their total race time. 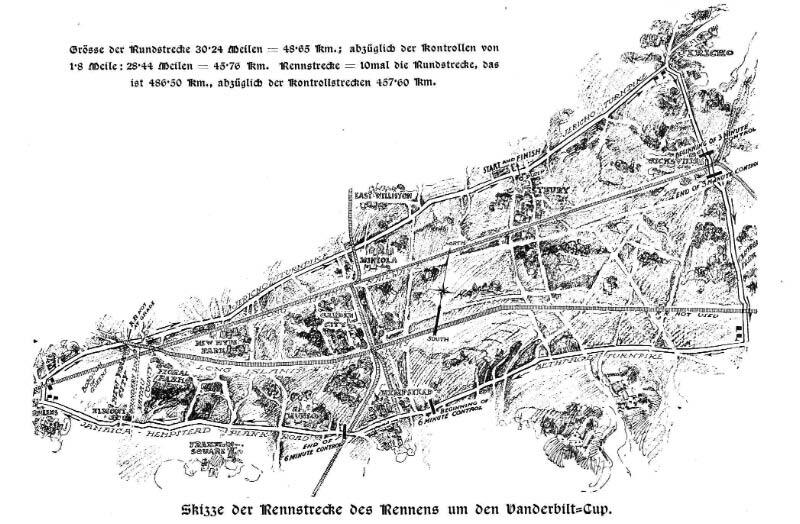 Another 1904 map and link submitted by Jean-Yves Lassaux. 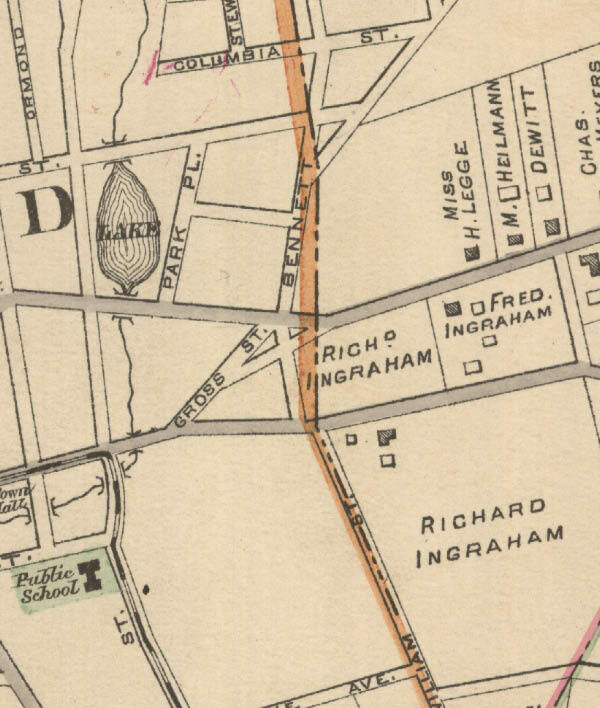 The beginning of the control was just east of Bennett Avenue. 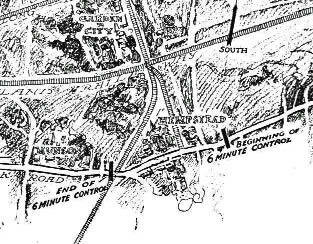 The end of the control was 1.40 mile west, just past the train tracks of the Hempstead Branch of the Long Island Rail Road. 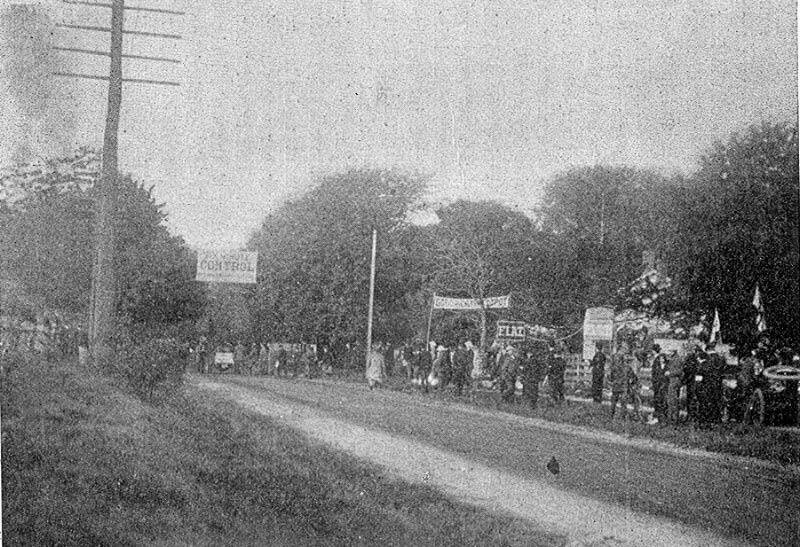 Note the "Six Minute Control" sign and the FIAT station. 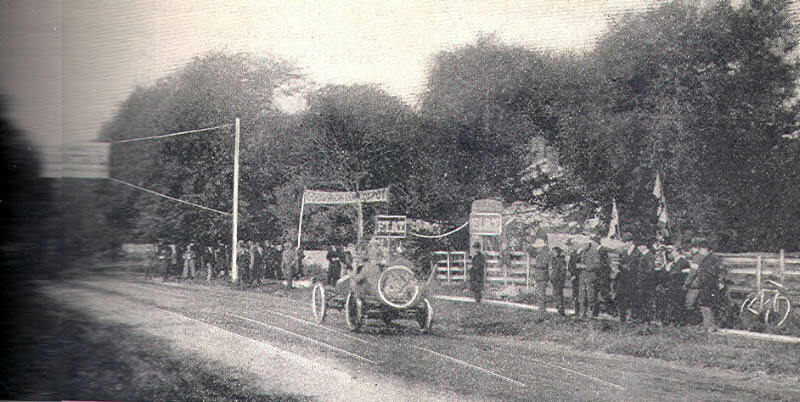 A car getting ready to be stopped and inspected before slowly driving to the end of the control. A close-up of the FIAT station and gas tank at the control. 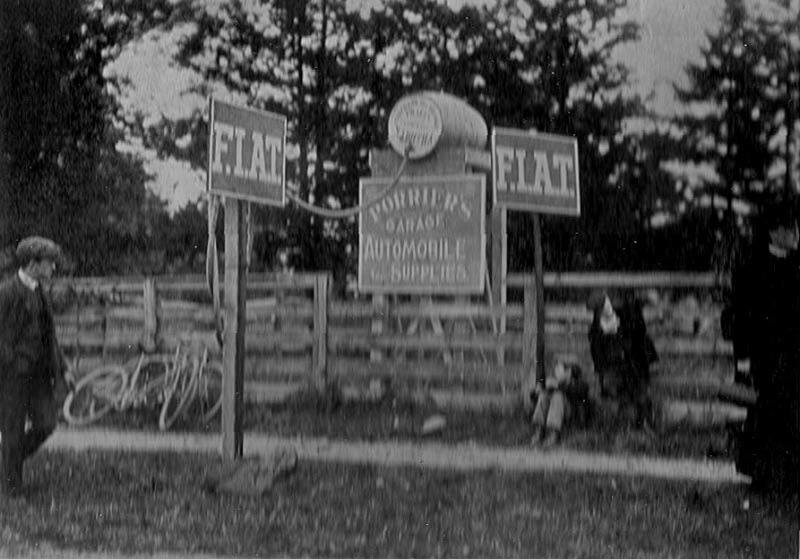 Note the Porrier's Garage of Garden City sign. 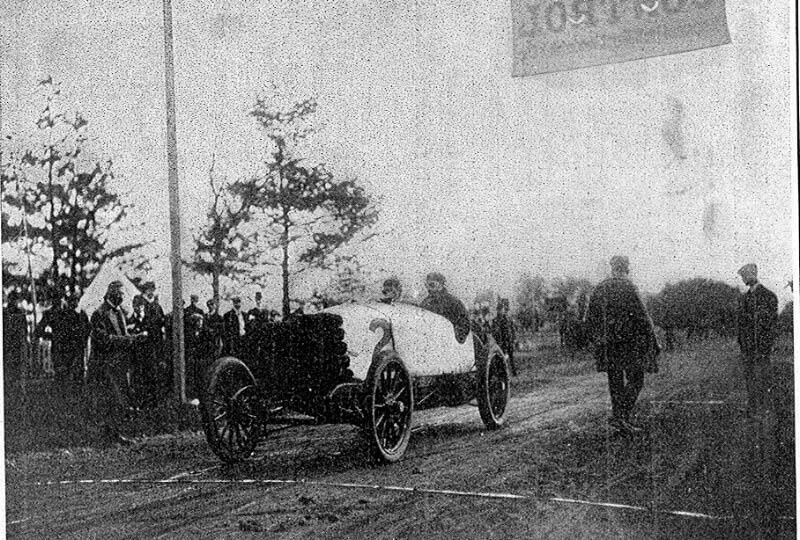 The Packard Grey Wolf at the beginning of the control. Note the gas tank in the background on the left. A classic photo of the #17 Simplex beginning to collapse. 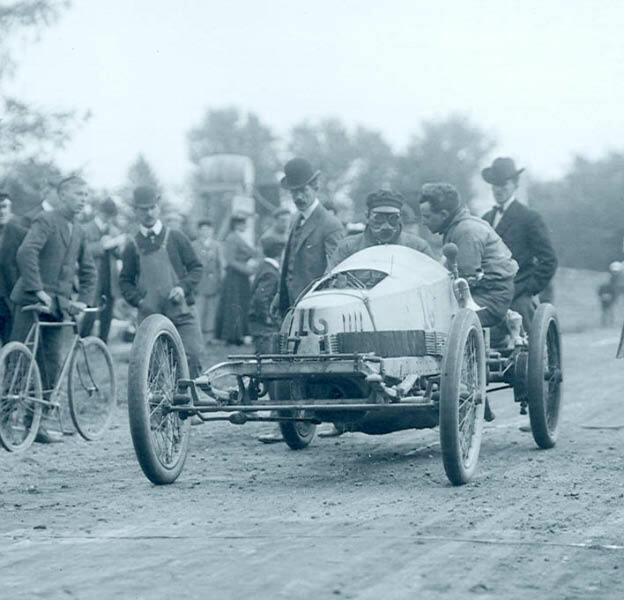 Note the absence of the left rear tire. 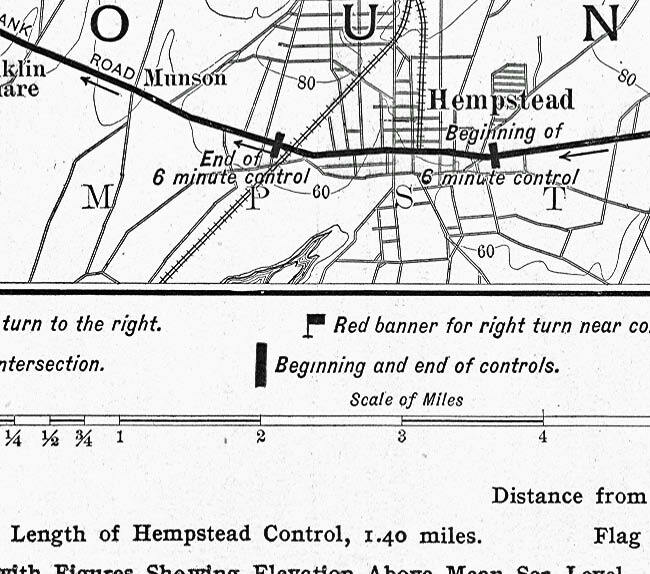 Hempstead has changed a bit over the last 109 years. 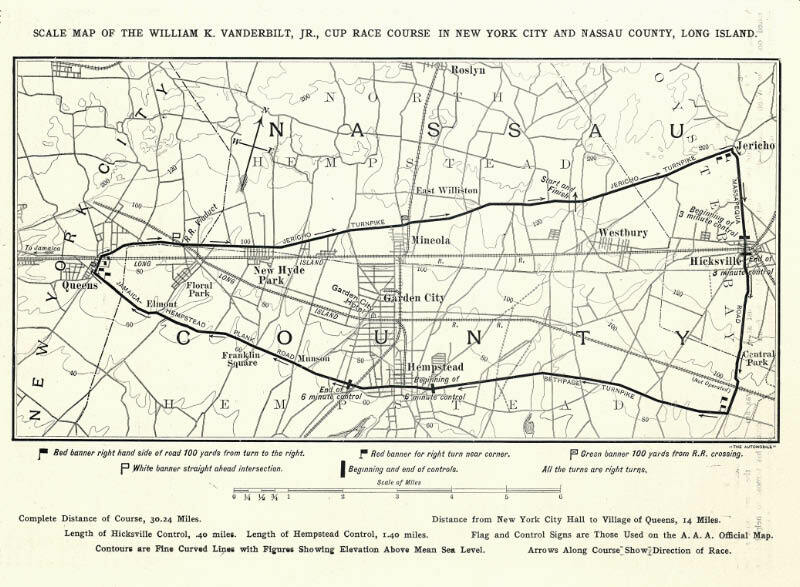 Note the control was located outside the village line. 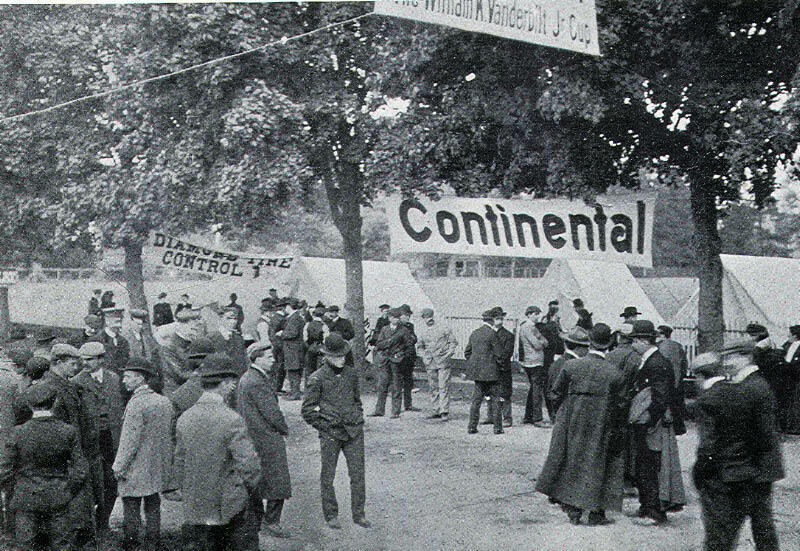 The end of the control was surrounded by tire station tents for Continental and Diamond Tires. 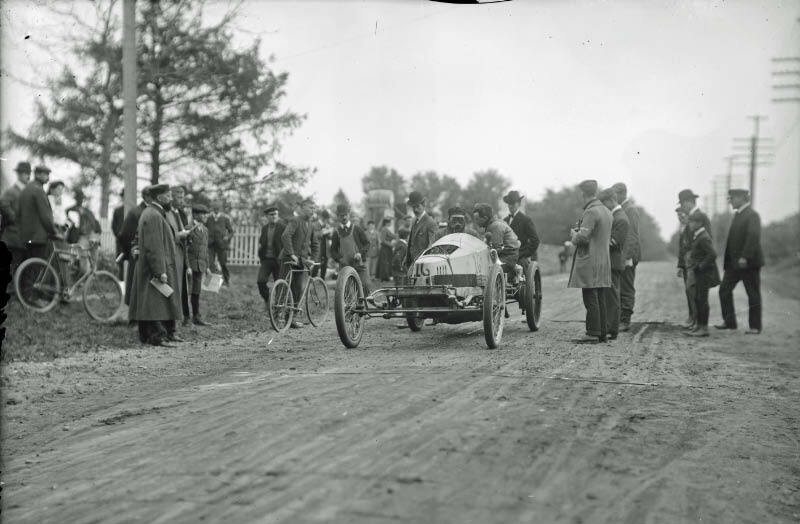 The # 2 DeDietrich waiting to restart the race after the six-minute stop. Note the tent on the left. 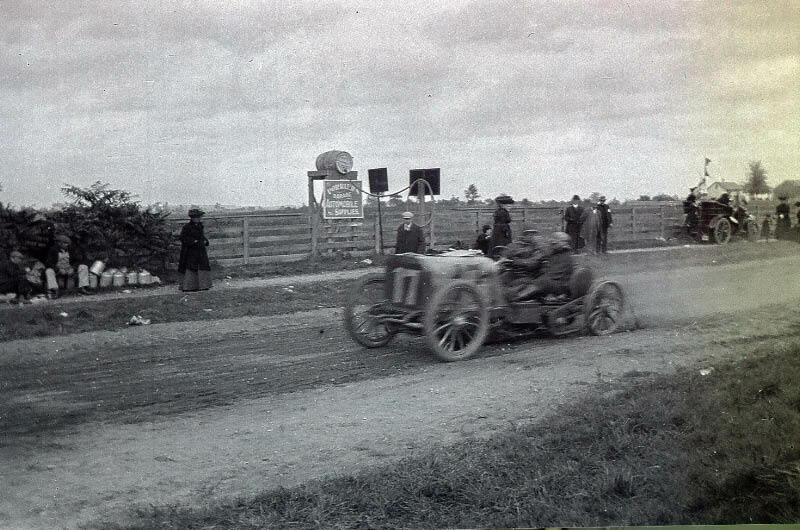 The eventual winner- the #7 Panhard driven by George Heath. 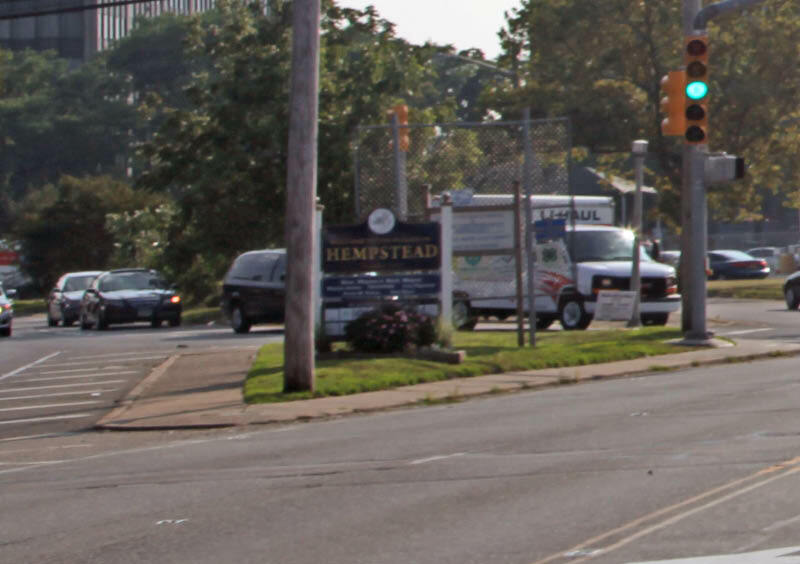 The end of the control was located outside the village of Hempstead. 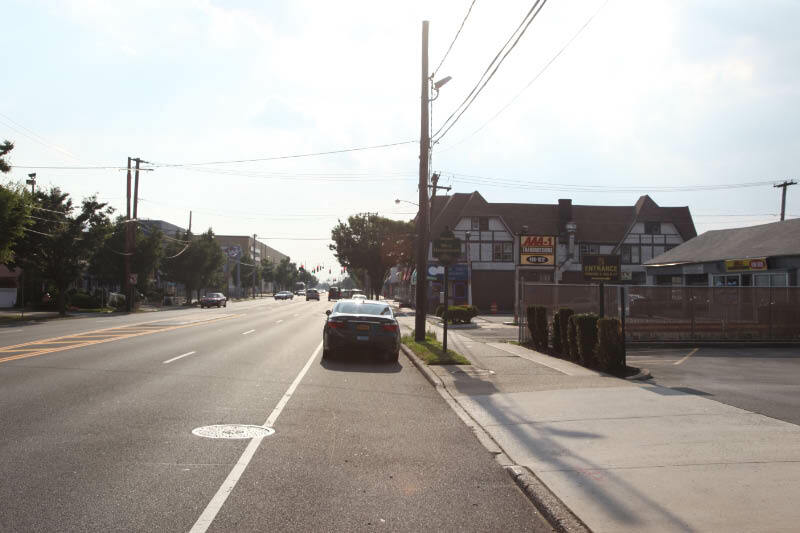 The sign on the right welcomes drivers to "West Hempstead". 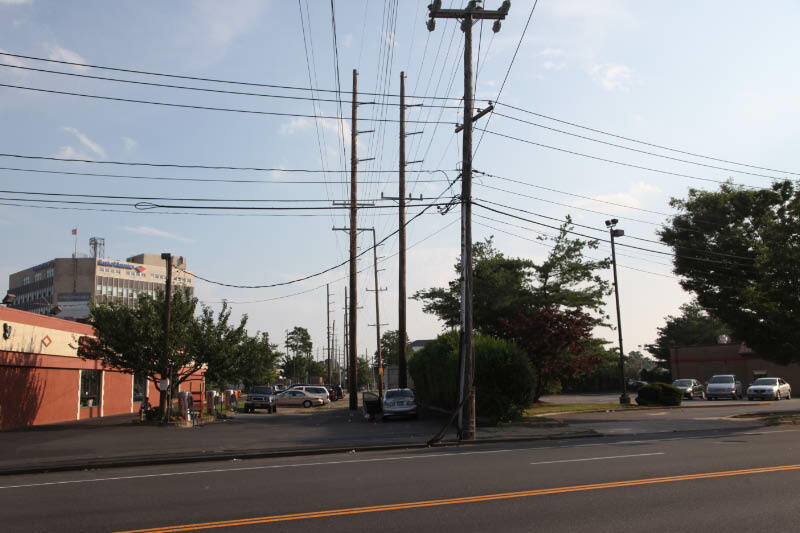 These nearby utility poles are on the right-of-way for the long-abandoned Hempstead Branch of the LIRR. 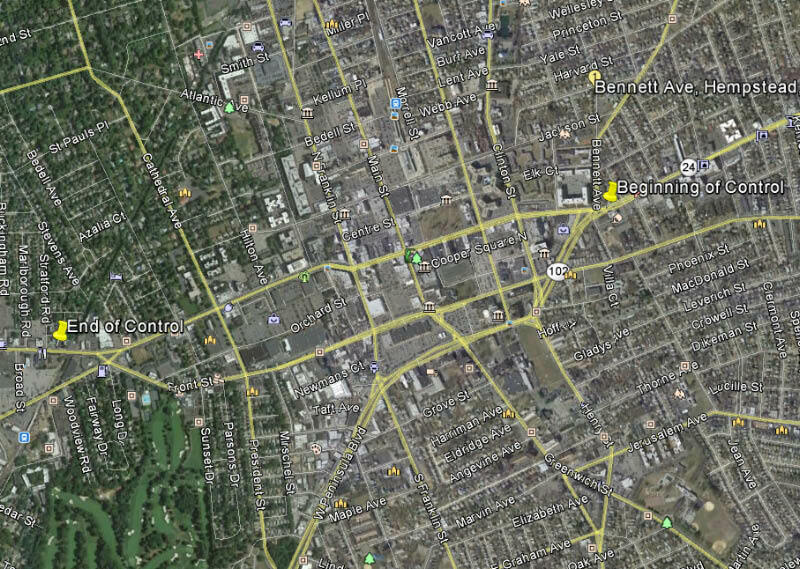 A Google Earth map of the Hempstead Control. Absolutely loving the hand-drawn maps that Jean-Yves submitted! I read the “Then and Now” about the control. It’s always amazing to see the changes over the years. Now living in Paris, I was born in Le Mans and I was a witness of the track’s transformations from 1968 (first step to the “24 hours” with my father, I was 7 years old) to 1991, one year after the FIA’s rules constrained the ACO to cut by two chicanes the famous 6 km (3,7 miles) straight line “Les Hunaudières” (englishmen call it “Mulsanne’s straight” from the name of the right turn at the end). BLD’s Restaurant 299 Hawkins Ave.